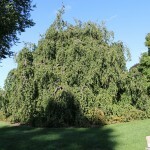 A graceful, irregular, weeping tree. The summer foliage is green, with a wavy edge. It can become wide spreading to create a large, tent-like canopy. Fall foliage color is yellow. It prefers well-drained soil and full sun. 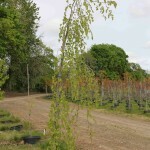 Use as a weeping specimen in the landscape.